Saw this on the art blog scene, thought it was pretty amazing. 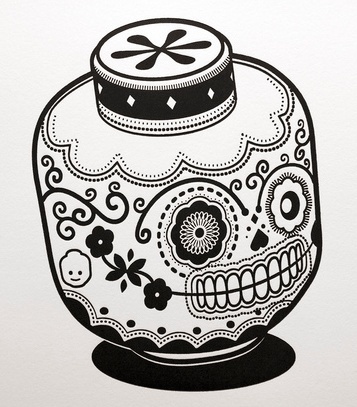 Pop culture work prints based on Día de los Muertos calaveras. Though not technically supposed to be a servbot, it can’t get much closer. You can catch some of the others here. Artistic sweetness. 2 Comments to "Servbots South of the Border"
Thats a very nifty piece. Liking the designs on the face. « Some days aren’t yours at all.